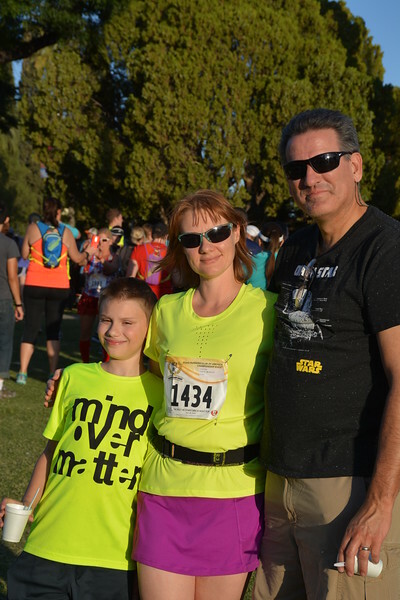 Meet Me Downtown was founded by Randy and Tia Accetta 10 years ago to promote Downtown Tucson by providing fitness and social opportunties for all ages and abilities. The TMC Meet Me Downtown weekend focuses on family-friendly activities, including a free FitKidz One Mile Walk/Run on Friday night, kids activities hosted by TMC, and free entry into race beneficiary the Children's Museum. All TMC Night Run participants receive a free t-shirt with our unique Tucson-flavored artwork.